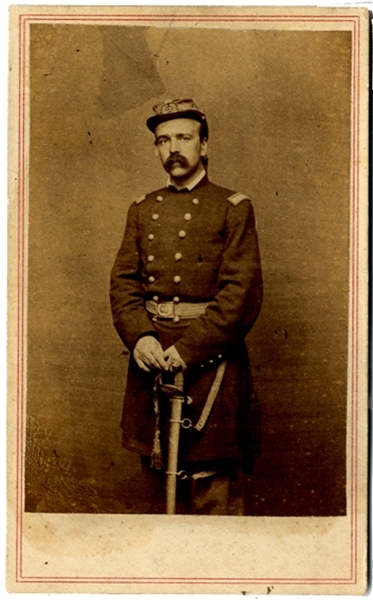 War-date carte de visite of General Daniel Butterfield as colonel of the 12th New York State Militia. Army of the Potomac's chief of staff at Gettysburg. Anthony/Brady backmark. Fine condition. Daniel Adams Butterfield (1831-1901) was a New York businessman, a Union General in the American Civil War, and Assistant U.S. Treasurer. Wounded at Gettysburg, he served in Sherman’s Atlanta campaign, before retiring from front-line service through illness. He later received the Medal of Honor.